The actress may have beef with the franchise, but not her co-star. Michelle Rodriguez opened up recently about the sexism of the 'Fast and Furious' franchise, but she has now clarified that her comments were not in reference to her co-star Vin Diesel's input in the film series and insists that he is a 'supporter' of strong female roles. 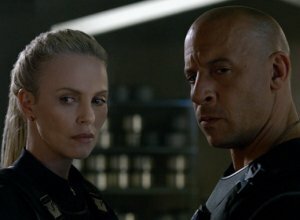 The 38-year-old actress wants everybody to know that she was not talking about Vin Diesel when she said recently that she may leave the 'Fast and Furious' series for good if the next movie does not explore equal opportunities for female stars. In fact, Vin is totally on her side. 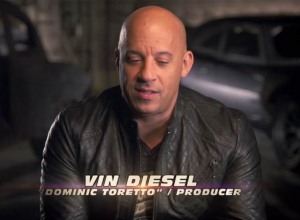 Dominic Toretto has gone rogue. It seemed like the game was finally up with Brian and Mia retiring from their fast and furious lifestyles, and Dom and Letty swapping that life for marriage, but as it turns out things are not that simple. Dom has apparently sold out his family and friends to embark on another dangerous adventure. He seems to have been lured into action again by a very beautiful but extremely dangerous individual named Cipher. She has some seriously advanced technology at her disposal that she wants to use to execute her plan to take control of every motor vehicle in the city and cause some serious mass destruction. But Letty refuses to lose faith in him because she's sure there must be something more going on, though she doesn't know what yet. She re-teams with Tej Parker and Hobbs and this time they got a tank. Unfortunately for Hobbs, the only way they can take on Dom and his new girlfriend is by enlisting the help of his criminal nemesis Deckard Shaw. 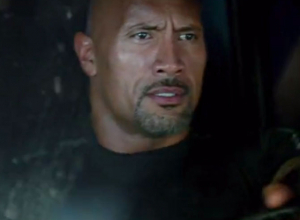 Having become a tremendous smash-hit, the 'Fast & Furious' franchise has no plans of stopping. But where will it go without Paul Walker? 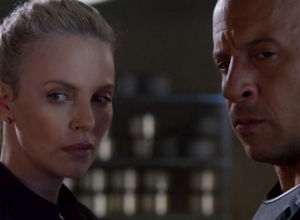 As the seventh 'Fast & Furious' movie continues to dominate the global box office, rumours are swirling about where the franchise will go from here. 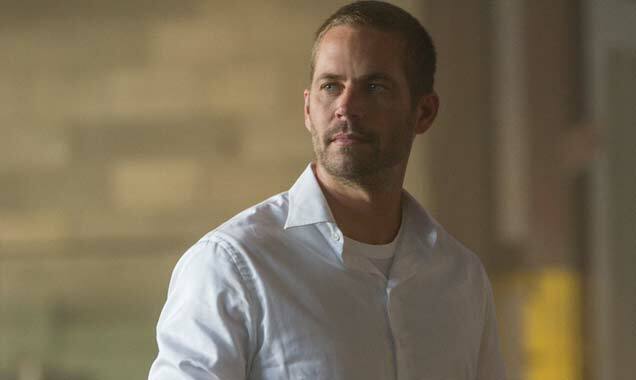 Originally conceived as the first in a trilogy, 'Furious 7' was rewritten as a send-off for the late actor Paul Walker and ends on a definitive final note. So where to from here? "We think there's at least three more," says Donna Langley, head of the film's studio, Universal. "Paul is, and always will be, an integral part of the story. But there are many other great characters, and it's also an opportunity to introduce new characters." For their seventh adventure, the Fast & Furious cast and crew continue to outdo themselves with mind-boggling stunt driving and outrageous action mayhem, this time infusing everything with emotion as a way of honouring late actor Paul Walker. The rip-roaring pace and more internalised drama combine effectively to create a riotous thrill ride that might actually bring a lump to the throat. Even if it's all utterly preposterous, it's solidly entertaining. Things pick up right where Part 6 left off, with former black-ops killer Deckerd Shaw (Jason Statham, who else?) determined to avenge his fallen brother. 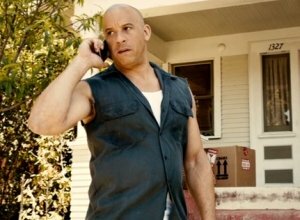 As he tracks them down, Dominic and Brian (Vin Diesel and Paul Walker) have reassembled their team (Michelle Rodriguez, Tyrese Gibson and Chris 'Ludacris' Bridges) to take a job with shady government agent Mr Nobody (Kurt Russell). Their target is the even shadier villain Jakanda (Djimon Hounsou), who has kidnapped a genius hacker (Nathalie Emmanuel) to get his hands on her all-seeing gadget. But Shaw is on their trail as they track Jakanda to the mountains of Azerbaijan, and he interrupts their mission there as well as in the deserts of Abu Dhabi and the streets of downtown Los Angeles. The double-edged premise offers all kinds of opportunity for plot twists, but of course the main point of these movies is to create increasingly insane set-pieces. This time, the film opens with Brian explaining to his young son that cars can't fly, after which director James Wan proves otherwise, flinging our heroes' hot rods into the sky from airplanes, tower blocks and cliff tops. Amazingly, they seem able to steer even in mid-air! But never mind, it looks so painfully cool that there's little do do but sit back and enjoy the chaos, knowing that even though a flashy vehicle is destroyed every minute, there's a newer, more awesome car coming in the next scene. Guys, chill. She didn't mean it that way. Michele Rodriguez sure knows how to word an apology right. This time, she took to Facebook to apologize about “the whole superhero thing.” She was referring, of course, to her TMZ interview, in which she unintentionally went on a tirade about actors from ethnic minorities playing characters, intended to be white. When speaking to TMZ recently, she dropped this gem of a quote. Oops! Michelle Rodriguez didn't mean it that way, apparently. Michelle Rodriguez Offers An Apology For Saying Minority Actors Should "Stop Stealing All The White People's Superheroes"
The 36-year-old actress was forced to clarify what she actually meant when she told minority actors to "stop stealing all the white people's superheroes." Michelle Rodriguez is known to be rather outspoken, but she even realizes her recent comments about minority actors in Hollywood may have gone a little too far, and now the 36-year-old actress is offering an apology. Rodriguez caused controversy on Friday night (Feb 28th) when she was caught on video saying that minority movie stars shouldn't play white characters that are already established and make up their own. Continue reading: Michelle Rodriguez Offers An Apology For Saying Minority Actors Should "Stop Stealing All The White People's Superheroes"
The sins of London have followed them home. After throwing Owen Shaw (Luke Evans) out of a cargo plane, his brother, Ian Shaw (Jason Statham), is out for revenge. When Shaw kills Han Seoul-Oh (Sung Kang) in a brutal car-crash, Dominic Toretto (Vin Diesel) and Brian O'Conner (Paul Walker) are forced back behind the wheel for one last ride, in order to find the man who killed their friend before he can get to them. This investigation will see the team dropping their cars out of planes and driving between buildings to prove that they are the Furious 7. One year on, Walker's family and friends still find it hard to deal with the loss. 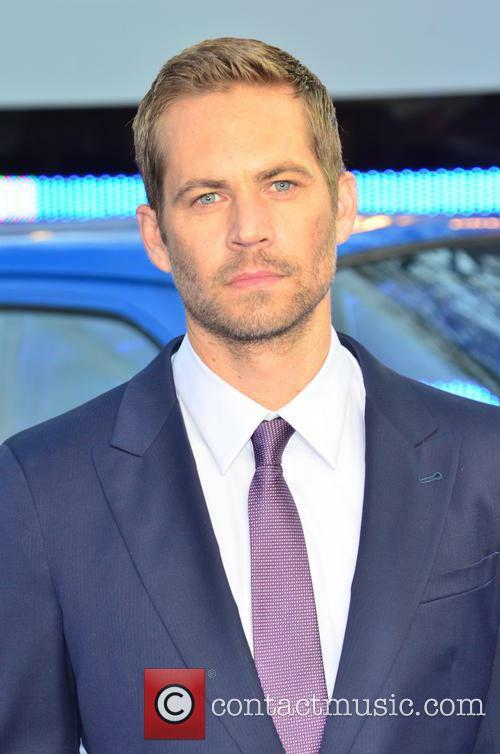 It’s been a year since the death of Paul Walker. With all the bad stuff that happened in 2014, the actor’s death last winter sort of fell behind in newsworthiness, but he is constantly in the thoughts and prayers of his family – both his real one and his onscreen one. A year later, life without the beloved son, father and friend hasn't gotten any easier. Recently, Paul's father, Paul Walker III, told Entertainment Tonight's Nancy O'Dell, "I'm missing him more now, the last month. It's not getting any better for me." The cast of 'Furious 7' talk about their favourite moments from the 'Fast & Furious' franchise, including favourite car, favourite locations, favourite fight and favourite stunt. Among them are Vin Diesel, Michelle Rodriguez, Jordana Brewster and Ludacris. Michelle Rodriguez romancing Cara Delevingne?